October 15, 2011 – The TEDxOmaha RID. | What I got rid of today. ← October 12, 2011 – Travel guitar. So today at TEDxOmaha, I gave a speech about the RID blog, the lessons learned from it, and the inspiration I continue to derive from it. 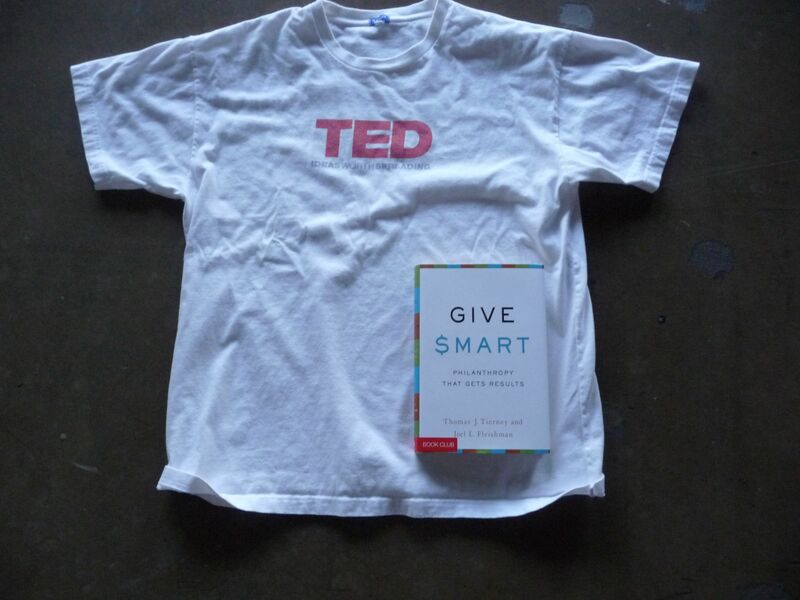 Seemed appropriate to give away a couple of items from TED and the TED bookclub. I continue to be shocked how many people find inspiration and excitement from this little project I started (on kind of a whim) over a year ago. Many thanks to the TEDxOmaha organizers and webcast viewers who were a part of today’s speech. This entry was posted in Books, Clothing. Bookmark the permalink.